I have just returned from an amazing family break in Cornwall and I was once again reminded just how much I love this county, my favorite in England by a long stretch. 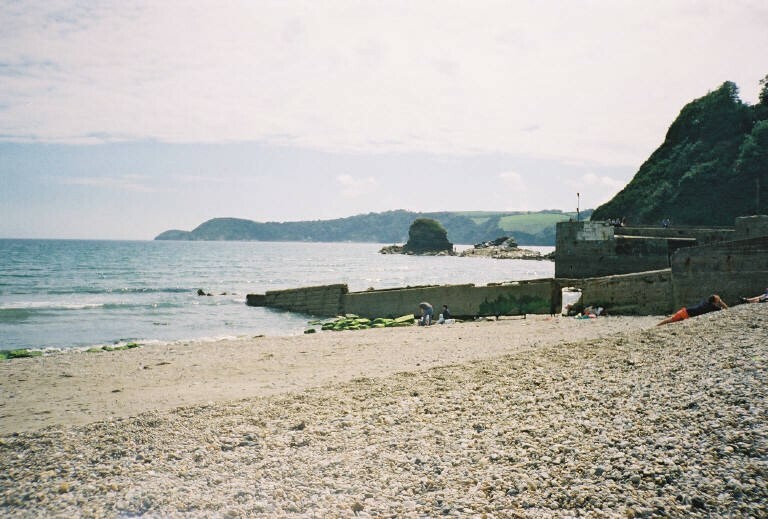 We stayed at the wonderful Perran Springs Holiday Park in Cornwall which was the perfect place for the family and a great jumping off point to visit many locations in the county – address is at the bottom if you’d like to check them out. I am often surprised at how few of my friends have visited Cornwall so I wanted to write a post to let everyone know just what it is about Cornwall that you will fall in love with. There are many places which you can talk about for their food offerings and here in Cornwall there are some of my very favorite foods to enjoy. Start off with a Cornish pasty, the snack which put the county on the map. These pastry parcels filled with meat and veg are absolutely delicious and the best pasties are the originals found here in Cornwall. Clotted cream is something which Devon and Cornwall are also known for so enjoy a fresh scone with some of the beautiful cream that they produce. Finally you must dive in with two feet and enjoy the huge range of fresh fish and seafood, the fisheries here sell to the UK’s top restaurants but you can get it fresher and cheaper in the harbor towns. Not only does Cornwall offer the bets of the British countryside but it can be found just a stone’s throw away from the beautiful coast. From rugged cliffs and beautiful coastal walks to thick vegetation and rich forest, you can find it all here in Cornwall. Our campsite for example was set deep in the forest but within minutes we were standing on the cliff’s edge peering out across the English Channel. The Edge Project is a collection of enormous biospheres which recreate a number of different climates. The Eden center is for scientists and tourists alike and you can experience the tropical climate of the Amazon for example, complete with indigenous plants and flowers. Occasionally you will also find concerts which are put on here as well, making for one of the most beautiful places to watch live music. Surfers from all over the world flock to Cornwall each year to take advantage of the great surf that can be found here in places like Newquay. Whether you have surfed before or not you can still experience the waves with the help of one of the numerous surf schools here. Because of its coastal position Cornwall has seen its fair share of history and throughout the county you can find shipwrecks, smugglers routes and many strange rock formations from neolithic times. If you are a history buff then you will find a great amount of things to explore here in Cornwall. Don’t take my word for it, go to Cornwall and see for yourself just how amazing it can be!